CablesAndKits is proud to offer Lifetime Warranty and Advance Replacement on all of our products. Often, we purchase expensive items and naturally look for some type of warranty plan that will cover us in case the item quits on us. CablesAndKits offers a warranty that is risk-free and hassle-free, which makes it awesome for you. After you receive your order, if you decide it’s not right for you, or you’re not completely satisfied in every way then send it back and we will refund your money. 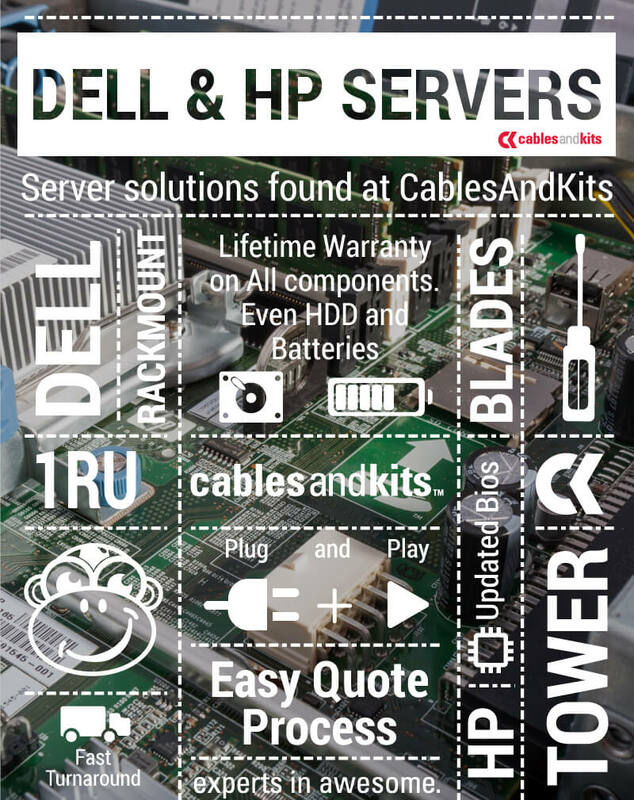 Our latest product addition to CablesAndKits, HP & Dell Servers are also included in the Lifetime Warranty. As a shock to many, this warranty covers batteries and even hard drives. As we prepared to roll this product line out to you, we brainstormed different ideas that will benefit you, our customers. We take value in establishing a trust with our customers so what better way to back our trust than to add full lifetime warranty on the servers and their components. We know that sounds a little crazy, but we stand behind all of our products and want to ensure you have an awesome experience with our products. This is the real deal, no hocus pocus. Considering servers takes a huge stake in your networking infrastructure, lifetime advance replacement is also a great option for you. In the event of a malfunction, we will ship a replacement out to you the same day as you report the issue. Eliminating long downtime is kept at a minimum as we work hard to get your network back up and running. Still in shock? We understand. With the industry-leading Lifetime Warranty with Lifetime Advanced Replacement for all of our customers, we are sure to keep your network running with confidence. If you’re on the hunt for a customized server, we can give you a quote! We have an easy breezy form that you can fill out that will give us a good idea of what type of server you are looking for. You will have the ability to choose the brand, form factor, speed, RAM, Hard Drive and much more. Feel free to gives a call if you have any questions in reference to our Lifetime Warranty, Advance Replacement program and/or requesting a server.